How can I change light bulbs in a fixture located 20ft above the ground? We made the unfortunate decision of having a ceiling fan with lights in our two story family room, so the ceiling fan is about 20 feet above our heads. At the moment, all four light bulbs in the unit have burnt out and need replacing. Safety wise, I think it's too high for even a long ladder. What are some options for reaching and changing those light bulbs? 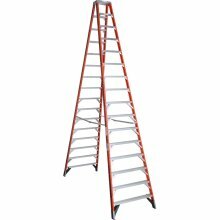 I'm not sure how much room you have to work in, but an option would be to rent a 16 foot step ladder at your local tool rental center. If the bulbs are pointed down, maybe some type of bulb grabber on an extension pole. Got a pic of the fixture? If you are uncomfortable with working at heights you can hire someone to change the lights (and clean the fan). Think about installing LED light bulbs. You may never need to change them again. 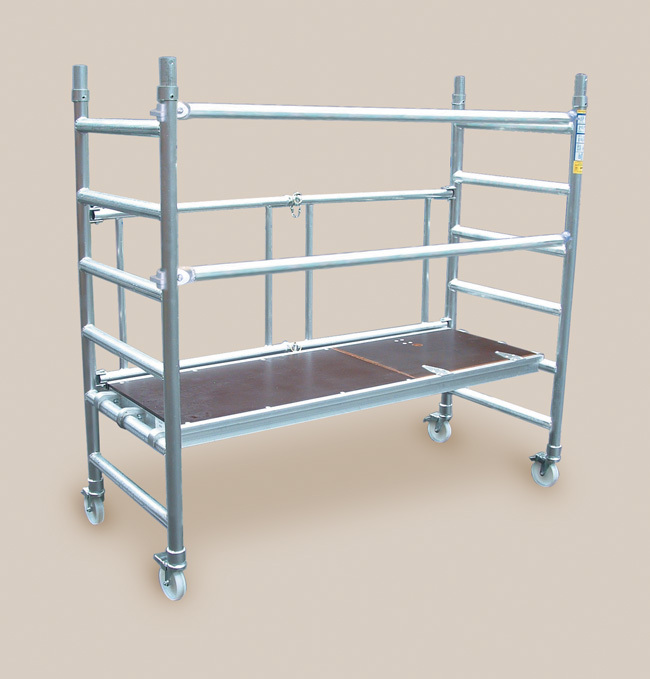 A small scaffolding tower might be your best option. This will give you the height and safety you need. While it might be a bit expensive for just changing light bulbs you'll need it when you come to paint the ceiling in this room. If you are spending money on renting, it could be cheaper to hire an electrician. Think of going to pick up the ladder, moving furniture, setting up the ladder, changing lamps, moving ladder / furniture to get eyeball recessed light, blah blah blah. I know this is a DIY site but sometimes you can hire a professional and get it done for not much more than getting everything and doing it yourself. If that eyeball is hard to get, or what looks like another fixture on the left, then these really could make it worth it. You can also buy your own lamps and have the electricians just do the labor only, but if the electrician supplies the lamps then they might warranty them and if a product failure happens, then you don't have to mess with it again. Whatever you do, use a LED lamp and a manufacture that you are familiar with. Newer technology LED's cost more than older technology and the biggest difference between the two is the lumen output. Normally DIY's will have brand names and they will be older technology lamps. Use a color of 2700 to 3000 kelvins that will be about the same as incandescent colors (warmer). Good Luck! 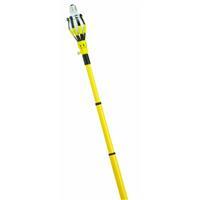 Like shirlock holmes said, the extension pole kits work great. I had a house once with several very high ceilings, and I already had a nice paint extension handle. 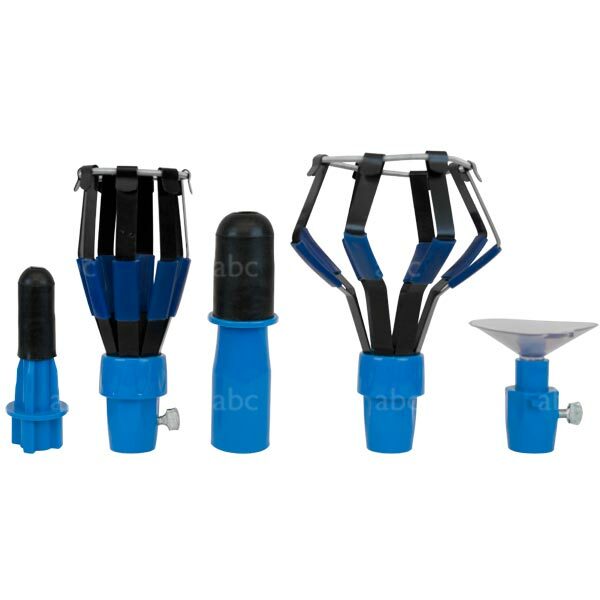 Bought something like below and the suction cup worked great for changing all kinds of bulbs. Not the answer you're looking for? 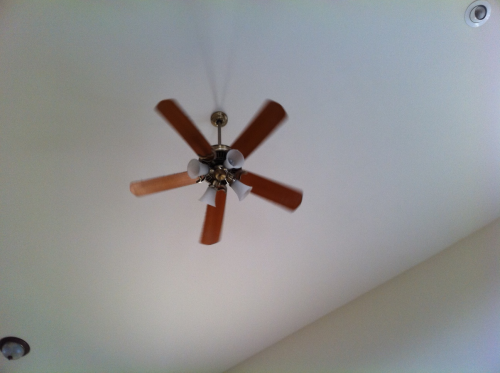 Browse other questions tagged light-fixture ceiling-fan or ask your own question. How to change halogen bulbs at 18 feet height ceiling? How do I change lights bulbs that are 20 feet off the ground and pointing up (in a vanity fixture)? How can I change the bulb in this light fixture? How do I change an overhead light fixture from one bulb to two bulbs? How do I change light bulb in flush mounted fixture? How do I change the light bulb in this fan?